When you capture moments, you are able to share the moment with your child's teachers. After you have selected which family members can view this moment, scroll to the bottom of the screen. 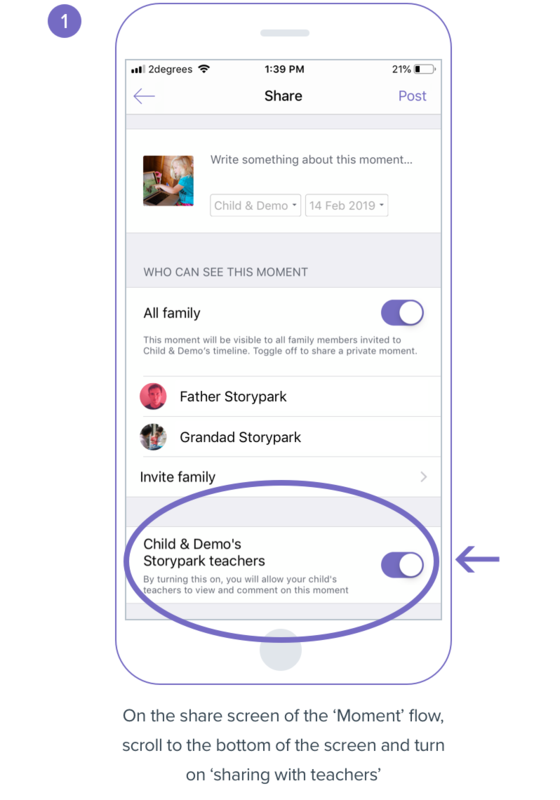 Your child's teacher will be notified and will be able to view your child's moment.